Home Blog Which Is Better And/Or Easier To Learn: Swedish Or Norwegian? There are numerous Scandinavian languages that one can learn. It is possible to get hung up on which one a person should spend his or her time with. The languages of Scandinavia include Icelandic, Norwegian, Swedish, various Saami Tribal languages, Danish, Faroese, Greenlandic, Finnish and other, less spoken minority languages. 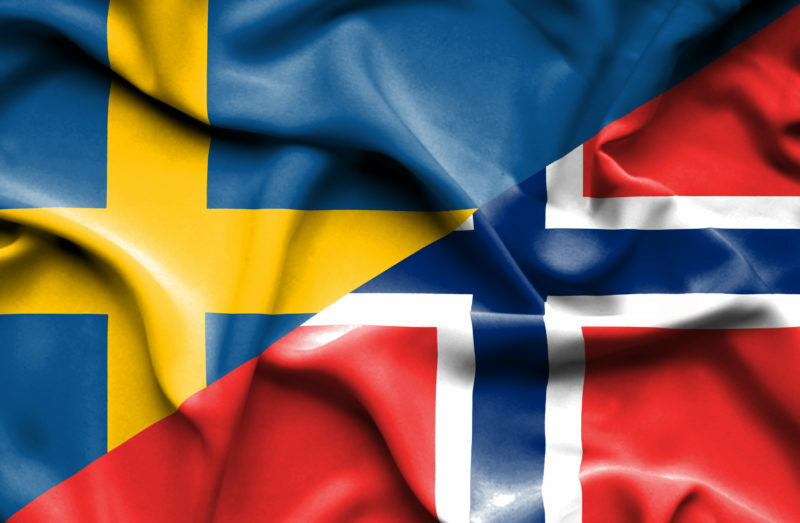 Two particular languages that people may frequently get hung up on are Swedish and Norwegian. Many people wonder which is better to learn Swedish or Norwegian. Swedish and Norwegian are so similar that if you know one, you generally know the other. They are more like different dialects of one another than different languages. A Norwegian speaker will sound different to a Swedish speaker and a Swedish speaker will sound different to a Norwegian speaker, though they will still be able to understand each other. First off, consider whether you really, really, really need to learn one of the two languages. For example, let’s say that you are going to move to Norway. The answer to the question of which is easier to learn Norwegian or Swedish, may simply be answered by the fact that you are going to live in Norway and knowing Norwegian would be the most practical thing. If you are going to move to Sweden, then Swedish would be the most practical sounding answer to the question of which is easier to learn Norwegian or Swedish. The circumstances that lead to one languages being more practical than another are not just isolated to the condition of moving to a place. You could just be someone who is planning on traveling to a place, or someone who has friends and/or relatives who speak one of the languages. Some people may rate a language based on how “easy” they think it is to learn. A person may ask, which is easier to learn Swedish or Norwegian. Well, this also depends on a lot of things. First off, if you do not know a language, you have to expect an uphill battle. If you don’t know Swedish or Norwegian, there will be a learning curve—whether you like it or not. If you have studied languages in the past, you may find it easier to learn Norwegian or Swedish. Both languages have words in common with many other languages. If you know Germanic languages, then that is a plus. If you like a language, then it will naturally be easier to learn. If you love Norwegian and see less of a glimmer of beauty in Swedish, then the question of what is easier, Norwegian or Swedish, will be answered for you. Norwegian will be the answer. If Swedish appeals to you more, then the question of which is easier, Norwegian or Swedish, will be answered. If you do not need Swedish or Norwegian for any necessary, practical purpose, you might as well just choose the one that you like the more. When asking about what easier to learn Swedish or Norwegian, people talk about pronunciation. When it comes to pronunciation, Norwegian may be the winner. Swedish has tongue rolls. Some people find tongue rolls very difficult. However, some local dialects of Norwegian have certain types of rolls, as well. Some people may get the illusion that Norwegian is harder or more impractical than it really is when they hear about the many dialects and the Bokmal/Nynorsk debate. However, the Bokmal/Nynorsk debate is really not a big issue, at all. Nynorsk is just a standard of Norwegian that was created due to political correctness and the interests of people living in certain regions that are more out of the way. Bokmal is the “book” language, and it is another standard. However, everything is generally understood among everyone. There are many blurred lines when it comes to dialects and who speaks what, but the subject is nowhere near being big enough of a reason to make you not want to learn any one of the two languages. Many languages have different dialects. For example, Spanish is frequently thought of as a more “practical” and “easy” language, though there are many different dialects that are spoken in many different countries. Sometimes, it is very hard to understand some dialects, even if you already know Spanish. To make matters worse, each dialect has its own idiomatic expressions. So, don’t let all of this chatter about dialects keep you from learning either Norwegian or Swedish. Nowadays, it is really easier than ever to source out materials for language learning. There are more books out than ever that pertain to learning languages. On top of it, the internet makes it extremely easy to access a wealth of different sources about both Norwegian and Swedish. Both languages are explained in so many ways by so many different people via the internet that either one is really a good choice when it comes to choosing based on available resources. Classes can also be found for both languages. If you live in a highly populated city with a lot of educational options, or a place with a history of Scandinavian cultural influences, you may find that there are in-person classes available for one or both languages. If you live in such a place, the question of which is easier to learn Swedish or Norwegian is made easier. There are universities, churches and cultural centers that may offer one or both languages. If you do not live in a place where you can learn Swedish and/or Norwegian in person, there are online classes that are given by universities. In many cases, you can actually earn college credit for learning those languages. If you are really gun ho about these languages, you can even earn degrees in them. Degrees pertaining to Swedish and Norwegian can be earned both through the internet and in person. When people speak of learning languages, Norwegian and Swedish do not come up in conversation nearly as much as other languages such as Spanish, French, Italian and German. Most public schools in America do not teach or speak of Scandinavian languages. Most people seem to not know Scandinavian languages. There is an exponentially better chance of someone knowing Spanish or being asked to know Spanish than Norwegian or Swedish. Being asked to be fluent in Swedish or Norwegian is the type of thing that “never” happens in America, as well as in other places. It may happen in very, very rare and specific situations. This generally makes it less easier to learn Norwegian or Swedish. In conclusuion, what is easier to learn Norwegian or Swedish depends on your own personal determination, which one you need to know, the amount and variety of good learning materials and whether you are okay with taking on very small, unique nuances in the languages. What easier to learn Swedish or Norwegian does not have clear cut answer. Which is easier to learn Swedish or Norwegian can only be answered by looking a your own circumstances.